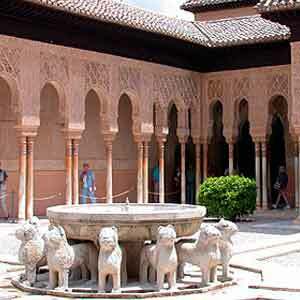 Join a Group and visit the Alhambra including Tickets, Guide and return transport from Málaga and Nerja. 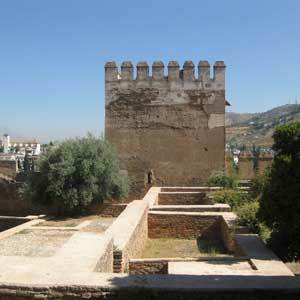 Your tour includes the tickets to all parts of the Alhambra, the expert guide during the whole morning and the return transport from your hotel or residence in Malaga and Nerja. 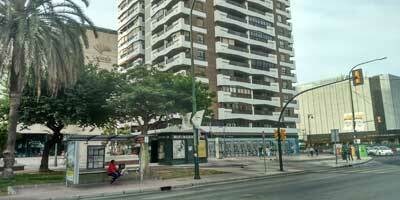 We will pick you up at 8:00am in the Avenida de Andalucía 10 - Bus Stop Number 11 of CaixaBank in the Avenida Andalucía, in front of El Corte Inglés. 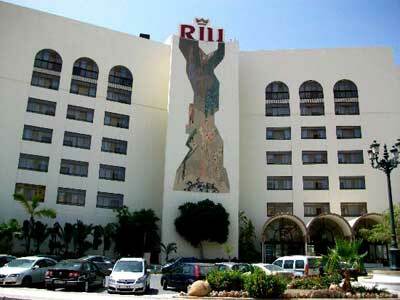 We will pick you up at 8:00am in the entrance of the Riu Mónica Hotel - Playa de la Torrecilla, s/n, 29780 Nerja, Málaga. 1. 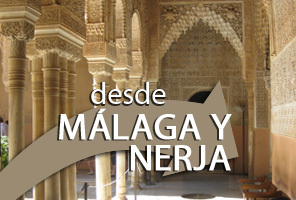 Pick up and drop off from Malaga or Nerja. 3. Official tourist guide specialized in the monument. 4. Free time to explore the city. Your booking will automatically enter into our system, but we will need your confirmation. Please, we kindly ask you to call us the day before your visit between 11am and 1pm, at +34 682 086 011 o +34 958 535 872.